Puget Sound Track & Field hosted the Ed Boitano Invitational (March 2–3) in honor of the beloved coach who passed away in October 2016. The Loggers put in a performance that Boitano would have been proud of as they kicked off their outdoor season. Baker Stadium saw quite a bit of action when Whitworth, Lewis & Clark, Western Washington, Saint Martin, Seattle Pacific, Everett Community College and Olympic College paid a visit to the North End of Tacoma. The Boitano Invitational was the perfect chance for Puget Sound Track & Field to jumpstart its outdoor season in a fun and sentimental manner. “After all the snow days, the team was excited to have a sunny day for the meet,” sophomore Tatiana Klein said. Senior Matthew Tetreault echoed this enthusiasm: “After the indoor track season it felt incredible to race outdoors on a normal-sized track!” Indoor tracks are typically 200 to 300 meters, much smaller than the 400-meter outdoor tracks. According to Orechia, Boitano coached several All-American pole vaulters, as well as one National Champion in his time at Puget Sound. After a long indoor season, the Loggers came out of hibernation in style, honoring Boitano with numerous top-three finishes. 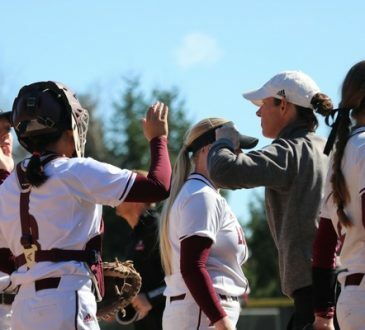 Six Loggers earned themselves qualification for the Conference Finals in May, according to Tetreault. Metzler finished third in the 800-m dash, clocking an impressive 2:28.65. First-year Hannah Cottnair placed third in the 400-m dash, just ahead of junior Megan Stills. Senior Lura Morton earned fourth place in the 100-m dash, as did first-year Sydney Denham in the high jump event. First-year Ryan Sutherland was named Logger of the Week after he won the 400-m dash. Right behind Sutherland, junior Jack Monaghan took second place, claiming two spots on the podium for Puget Sound. First-year Colin Monaghan earned a third-place finish in the 10,000-m run. Crossing the line in 31:37.13, Monaghan finished less than 14 seconds behind the victor from Western Washington, all according to Logger Athletics. The Ed Boitano Invitational once again proved to be an important event for the Track & Field program. The Boitano Invitational concluded with a 4×400 Alumni relay race, an annual tradition. “It was great to see our Assistant Coach Andrea out on the track running the anchor leg of her alumni team,” Tetreault said. The Loggers will try to maintain these high spirits heading into the new season. 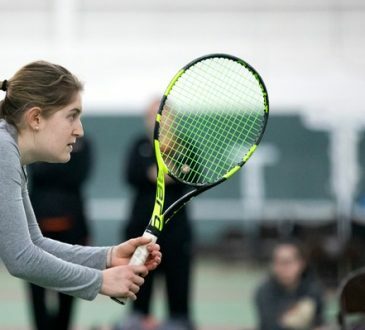 “I think it’s important to keep looking forward and striving for the goals that we have set individually and as a team for the coming months,” Bradlina said. 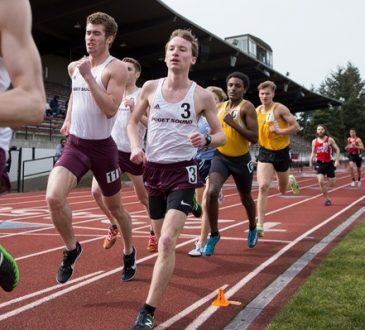 Puget Sound will host two more Track & Field events this season: the Peyton Scoring Meet tomorrow, March 16, and the Shotwell Invitational on April 6.